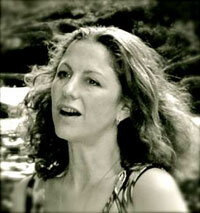 A powerful call and response kirtan, melody composed by Nikki Slade. Yasia's voice dives deep into devotion in this stirring track, sung at the Long Dance 2011. All proceeds from this sale go to support The Pachamama Alliance. The sanskrit words 'Shivoham' literally means 'I am Siva'- 'Siva' - meaning the Lord of The Dance, Creator and Destroyer.